I had a busy and productive February, my friends, and March has started out well. 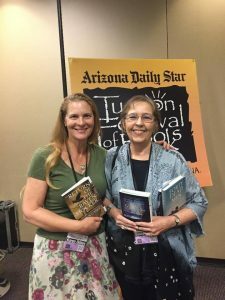 I spent March 2 and 3 in Tucson, attending the Tucson Festival of Books, as I do most every year. I was on a couple of well-attended panels, where I got to talk about myself and meet other historical mystery authors, including the lovely Karen Odden, the equally lovely Rosemary Simpson and Joe Yogurst (also lovely). As I have mentioned before, I have a new book, Lust for Vengeance, coming out, I hope in the fall. This is the beginning of a new series, The Adventures of Bianca Dangereuse, which is set in the 1920s and features Bianca LaBelle, who is a star of the silent movie screen. Quite different from Alafair, but tremendous fun to write. Along with the new series, I’ve also gained a new publisher, Sourcebooks, which has acquired Poisoned Pen Press lock, stock, and barrel, to be their mystery imprint. 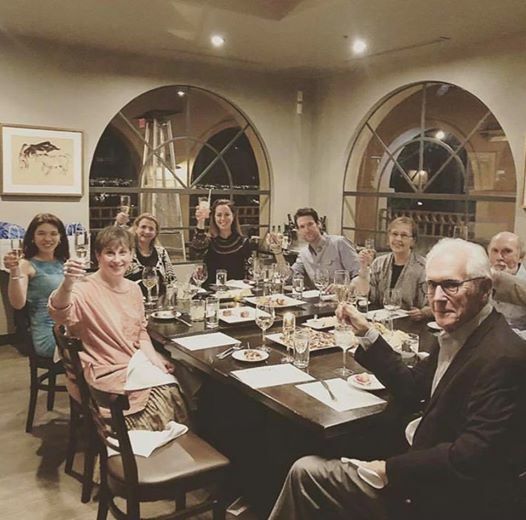 I was lucky enough to meet the head honcho of Sourcebooks in Tucson when she threw a dinner party and invited all her authors, new and ongoing, to meet and greet. Sourcebooks is a much bigger operation than Poisoned Pen was on its own, so this looks to be a very good situation for we Poisoned Pen authors. I also learned that Forty Dead Men, the tenth and most recent Alafair Tucker Mystery, has been named a finalist for the 2018 Oklahoma Book Award in the Fiction category. This is the ninth time one of my Alafair books has been a finalist for the Oklahoma award, and I must say the nomination always gives my sales a nice boost! This year I’m in the running against some tough competition, including from my friends Mary Anna Evans for Undercurrents and Sara Sue Hoklotubbe for Betrayal at the Buffalo Ranch. Check out the whole list here. This entry was posted on Wednesday, March 6th, 2019 at 5:31 pm	and is filed under Uncategorized. You can follow any responses to this entry through the RSS 2.0 feed. You can leave a response, or trackback from your own site.